UleFone is a smartphone manufacturer from China that is known to use the smartphone design very similar to iPhone 6 and 6s. They used the same design for the UleFone Paris. We have presented a smartphone from UleFone before in a post on “Ulefone Be Touch 2 Special Offer” and “UleFone Be Touch 2 is competing with iPhone 6 Plus” . UleFone is known to have a beautiful design and good build quality and Everbuying.net has a special pre-sale offer for a smartphone called UleFone Paris. 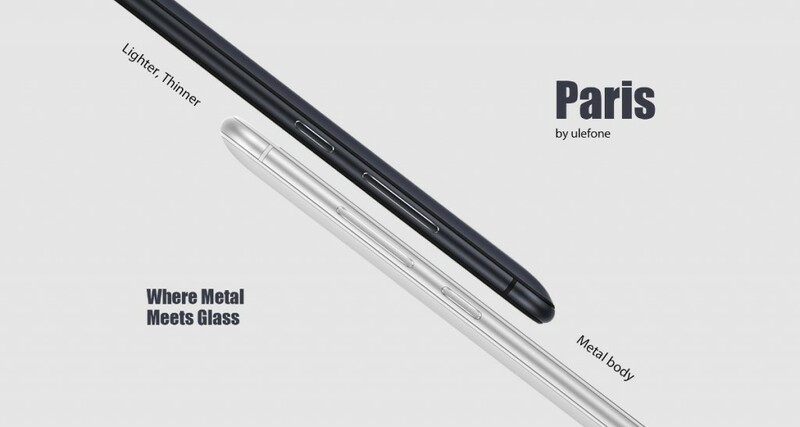 The design of UleFone Paris as already explained, is very similar to iPhone 6 and 6s and beautiful to most of users. The size of the smartphone is 5 inch which makes it easy to hold and get a really good grip. 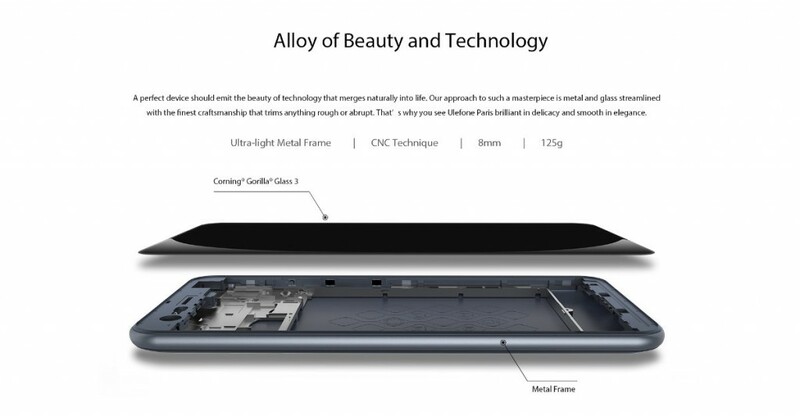 The body offers really good build quality and it’s made from metal. The smartphone itself is very thin with just 8mm making it easy to slide in any pocket. 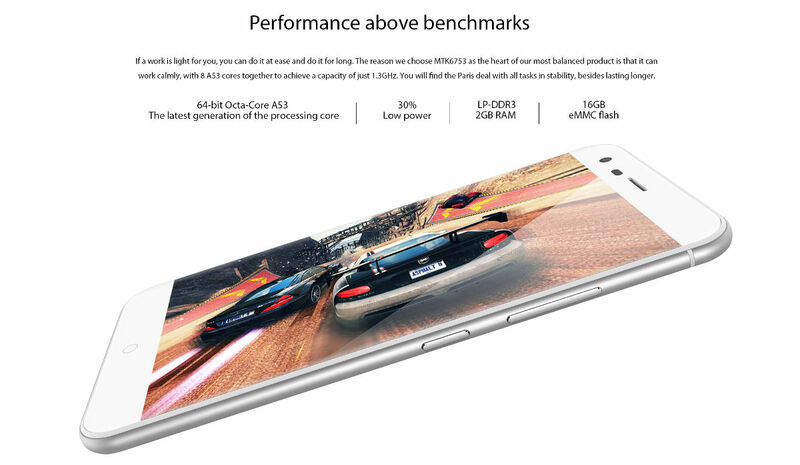 The UleFone Paris is powered by 64bit octa-core latest generation A53 CPU with 1.3 Ghz clock. It provides 2GB RAM of memory and 16GB of ROM with external micro SD card with up to 128GB. Both CPU and GPU which is Mali-T720 are configured to allow high performance and efficiency and with the battery of 2250mAh can provide a day full of intense usage. 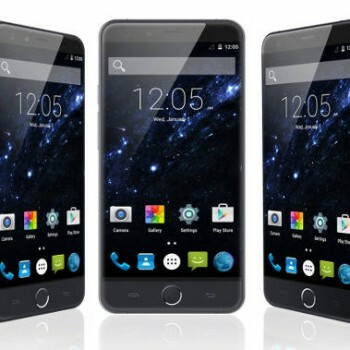 The IPS+OGS screen is 5.0 inch in size and provides a 720HD resolution (1280 x 720). The screen brightness and viewing angle is magnificent and due to a bit lower 720HD resolution saves considerable energy. The screen picture is sharp and warm and you can enjoy beautiful pictures made with 13.2MP rear and 5MP front camera. The rear camera provides F1.8 aperture and due to high optimization makes pictures look natural and brings them to life. Both cameras provide all of the well known standard picture modes and features. As most of smartphones from Chinese manufacturers the UleFone Paris also allows using two SIM cards simultaneously with a so called dual-standby SIM technology. It supports all of the standard connectivity options like 4G, GPS, Bluetooth 4.0, GSM, WiFi, 3G and also all of the required sensors. UleFone Paris is running the latest Android 5.1 Lollipop which gives it a great user experience and really smooth operating. Everbuying.net gives you two options to choose from. 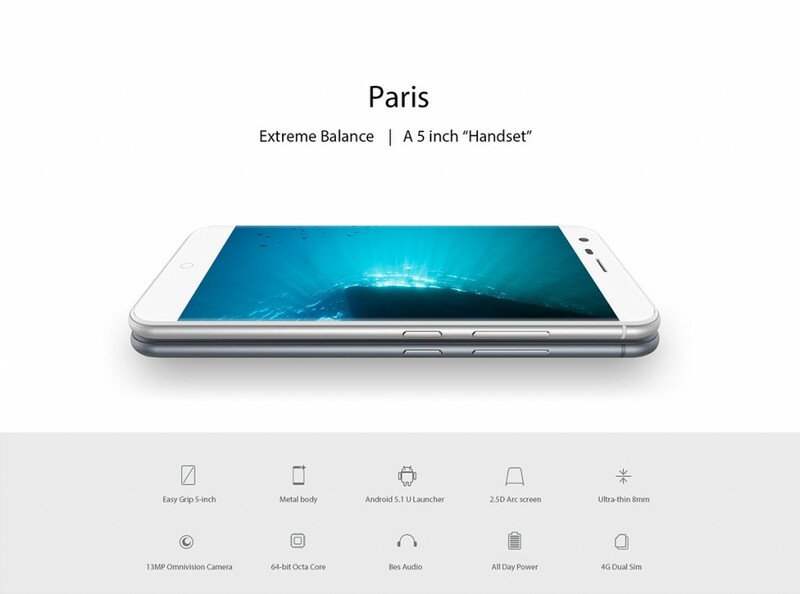 The retail price for UleFone Paris is $169.99, but you can get yours in pre-sale for just $129.99. This only includes the smartphone with no gifts. The second option includes a flip cover, glass screen protector, free shipping and a 2-year warranty and will cost you $169.99.